The middle of the week brings is the EFL Cup quarter-finals, while the weekend sees Niko Kovac return to Frankfurt to take on Eintracht. Obviously, Arsenal vs. Tottenham is the one to watch. The Bundesliga has an extra round as well, with Schalke – Bayer Leverkusen (Wednesday, 18:30 CET) and Bayern Munich – RB Leipzig (Wednesday, 20:30 CET) being the most noteworthy encounters. Then, on Friday, we have a matchup of the top two teams, as Borussia Dortmund squares off against Borussia Monchengladbach (20:30 CET) at the Signal Iduna Park. On the same day, Liverpool visits Wolverhampton (21:00 CET) in the weekend’s first Premier League game. Due to the upcoming Christmas holidays, there aren’t many games played on Sunday. For example, Serie A and Ligue 1 have all of their matches scheduled for Saturday. Among those, Milan – Fiorentina (15:00 CET) and Juventus – Roma (20:30 CET) are the ones that stand out. 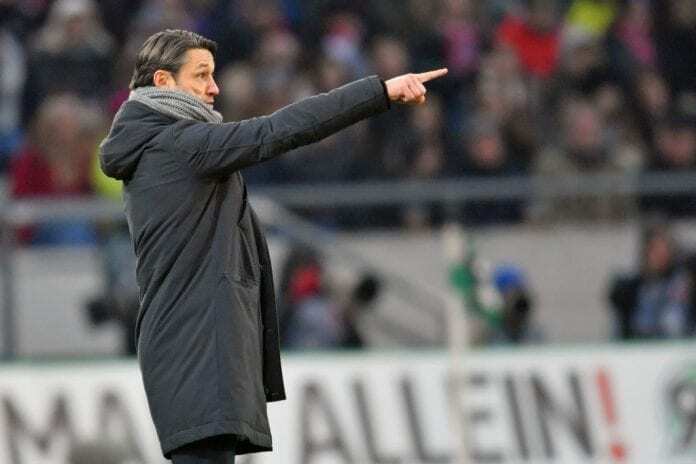 Niko Kovac visits his previous employer when Bayern Munich travels to Frankfurt to take on Eintracht at 18:30 CET. Most of the fixtures in England are played on Saturday as well, with only one taking place on Sunday (Tottenham – Everton). As for Spain, Atletico Madrid and Barcelona have home assignments versus Espanyol and Celta Vigo, respectively, whereas Sevilla is away to Leganes. Real Madrid is inactive in LaLiga because they’re travelling to Abu Dhabi to participate in this year’s edition of the Club World Cup. In general, it is an unusual weekend in which not many games capture the eye and lure you to the screen, although that all might be a matter of perception, as plenty of those could very well turn out to be entertaining.